Suzanne Linda Dean, “Sue”, 71 of Hollywood, MD passed away on April 14, 2019 in Hollywood, MD. She was born on April 17, 1947 in Newport, RI and was the loving daughter of the late Grace Marion Hues Kemmer and Jean Andre Kemmer. Sue was the loving wife of Joseph Albert Dean, Jr. whom she married on November 22, 1963 in Hollywood, MD. 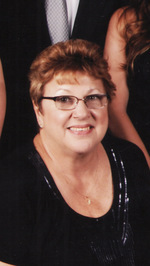 Sue is survived by her children Debra Lloyd (Todd) of Stafford, VA, 3 grandchildren Amanda, Rachel and Sarah. Along with her sister Sallie Cyr. Sue was preceded in death by her son Joseph Dean and her brother Jean Kemmer. She graduated from Great Mills High School. Sue was an assistant van operator for Hilldrup Moving and Storage in Stafford, VA for 30 years, retiring on November 30, 2017. Sue was always a dedicated and loving daughter, wife, mother, grandmother, sister and friend to all. She loved spending time with her family, traveling, and relaxing at the beach. The family will receive friends on Wednesday, April 17, 2019 from 5:00 PM to 8:00 PM with prayers recited at 7:00 PM in the Mattingley-Gardiner Funeral Home Leonardtown, MD. A Funeral Service will be held on Thursday, April 18, 2019 at 10:00 AM in the Funeral Home Chapel with Pastor Katie Paul officiating. Interment will follow in Joy Chapel Cemetery Hollywood, MD. Serving as pallbearers will be Gary Dean, Todd Lloyd, Steven Sandidge, Rick Freeman, David Alvey, and Billy Dean. To send flowers to the family of Suzanne Linda "Sue" Dean, please visit our Heartfelt Sympathies Store.